During the last round of studies that came out regarding Facebook and the ever increasing number of hacking attempts taking place around the world, data showed that some 600,000 Facebook accounts are targeted by hackers every day. The shocking part? This data was released more than two years ago. Since then, the number of hacking attempts that have taken place across all platforms, social media or not has risen significantly and it is fair to say that the number of attempts against Facebook has risen in tandem. However, Facebook has remained mum on just how many of these have occurred in the current year. Phishing scams are usually presented to the user in the form of a link that on the outset appears to be pointing in the direction to something of interest to the user but in actuality is a thinly veiled hacker tactic that seeks to install malware or worse on to your machine. Fake login sites can also cause a lot of problems for users who are not on their toes about what they are logging into. One mis-type in a URL or clicking on a link can send you to an imposter login page where your information can be compromised. As a rule of thumb you always want to give a quick glance up to the address bar to make sure that the site you are about to enter your personal information into is in fact the site you intended it to be. A machine that is installed with keylogger is another popular way hackers like to get your information. You want to be wary of using any machines that are open to the public as these can easily fall victim to having malicious programs installed on them. Keylogging is a form of hacking that records your keystrokes. With these recorded keystrokes all manner of information can be garnered. 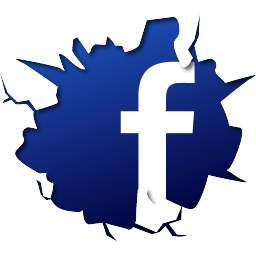 Facebook is also frequently targeted by hackers due to the demographic of users who make up its many personal pages. Compared to other social sharing sites on the internet, Facebook has the largest pool of “unsophisticated” users or users whose knowledge of technology and electronics is not up to par with say your average Twitter user. Because of this, these users can often fall victim to spammy links or hacking ploys that other users might be a little keener to. And it’s not just all smoke in mirrors either. Until October of 2012 the number of hacking attempts against Facebook stayed pretty static, but as the month began to come to a close all of that was about to change. The number of hacking attempts that occurred in October rose 20% compared to any other month previously and that number has yet to go down. This data alone is music to the ears for users who wish to compromise accounts and steal private information. What also helps drive the numbers up is time. As users spend more time on Facebook their level of comfort with the website increases. With this increase in comfort comes the propensity for users to share more and more information. As more information is shared across their account the potential for account compromises that result in more serious damage also increases. However, Facebook is not without its retort. In order combat these attacks Facebook uses an internal virus scanning system in conjunction with a large team of security researchers whose job it is to seek out these threats and put an end to them. With all the doom and gloom how can you navigate Facebook safely? While all experts agree that the number of hacking attempts is only going to increase as a new generation of users sign up for their own Facebook accounts we are of course not simply at the mercy of hackers. Always be vigilant of what you are logging into and what links you are clicking on. A hacker cannot simply attack your machine for using Facebook, you have to make the first error. Have you or anyone you’ve known been the target of a hacker on Facebook? Care to tell me about the experience? I’d love to hear your input below. Charles Trentham is a die hard tech blogger who loves to write about mobile security software.